Beautiful cottage 85M2 renovated in 2012, with a beautiful living room and a kitchen fitted to the American (oven, microwave, induction hob, fridge freezer, dishwasher etc ...). Nice room of life giving on terrace in the south, with living room of garden and barbecue. Coastal path GR34 in direct access in front of the lodgings. on the ground floor, washing machine, WC, release. On the floor release, second WC, small cellar, 2 beautiful rooms of 15M2 each with cupboard integrated in each room. 1 bedroom with 2 beds of 90, and the other with 1 bed of 160CM overlooking the Bay of Quiberon. Bathroom with towel dryer and sea view. 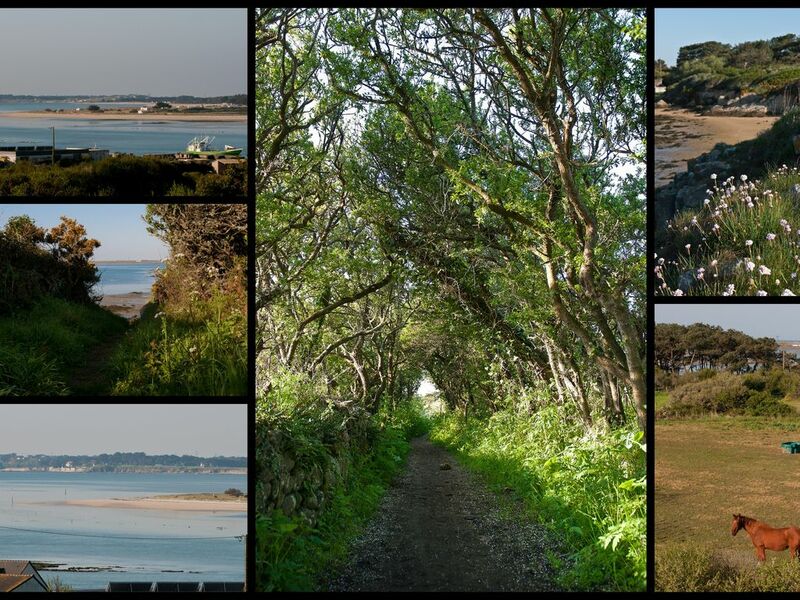 Our cottages are at the end of a village ideally placed between the countryside and the sea, very quiet environment 1KM of all Carnac shops and oyster farms of Carnac, the sea 150M for lovers of fishing and hiking. Possibility of short stay minimum 2 nights until April 7, 2018.
agreable gite entre bord de mer et campagne. Accueil chalheureux; maison bien équipée. de belles ballades en bord de mer avec le GR qui passe tout à coté. Au plaisir d'une nouvelle rencontre sur PLOUHARNEL!! !